Kuopio is a city and a municipality located in the region of Northern Savonia, Finland. 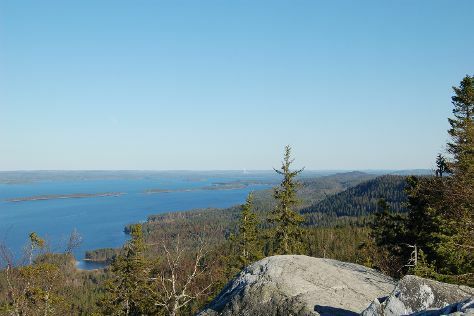 You'll find plenty of places to visit near Kuopio: Joensuu (Sculpture Susi Kosiomatkalla & Botania - Botanical Garden and Tropical Butterfly Garden), New Valamo Monastery (in Heinavesi) and Ukko-Koli Hill (in Koli National Park). There's still lots to do: test your team's savvy at popular escape rooms, pause for some serene contemplation at St. Nikolaos Cathedral, contemplate the waterfront views at Valkeisenlampi, and get a sense of history and politics at Kuopio Market City Hall. To find maps, where to stay, ratings, and more tourist information, refer to the Kuopio tour itinerary planning website . In April in Kuopio, expect temperatures between 7°C during the day and -1°C at night. Wrap up your sightseeing on the 22nd (Mon) to allow time to travel back home.